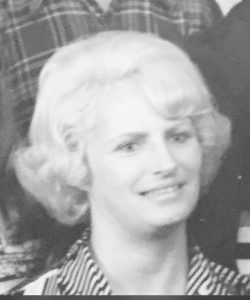 Maureen Ann Murray passed away on July 1, 2018 in her hometown of Merrimack, NH. She was born on October 29, 1965 at Winchester Hospital in Massachusetts to Donald T. Murray and Katherine (Coneeney) Murray. She spent her early years of life in Reading, Mass and later moved with her family to Merrimack, NH. Maureen was the first-ever Miss New Hampshire Teen USA. She graduated from Merrimack High School in 1983 and went on to graduate with a double major in Public Relations and Communications from North Carolina State University in 1987. She also studied history and literature at London Guildhall University. Upon moving to New York City, she created a successful career which included Trademark Licensing and Marketing at the National Football League, Senior Director at International Management Group, Vice President of Marketing, Sales and Communications at The Trump Organization, and Executive Producer/Director at ESPN. Aside from her career achievements, in 1991 she was chosen Miss New York USA placing 7th in Telecast. In addition to her strong drive towards her accomplishments, Maureen will be remembered for being well-versed in government and current events, and her great love for family and her care for her many nieces and nephews. She is predeceased by her loving father Donald T. Murray and survived by her mother Katherine Murray and step-father Albert Riddle and her brothers Michael, Kevin (Diane), Timothy and Daniel (Bridget). She was a devoted aunt to Jillian (Christen), Andrea, Renee, Ashley, Garrett, Erin, Kyle, Alex and Charlotte, and great-aunt to Cayden, Thayer and Adlay. A Catholic Mass of Christian Burial was held in her memory at 9:30 am on Saturday July 7, 2018 at 0ur Lady of Mercy in Merrimack, NH. She was laid to rest in eternal peace at Mount Calvary Cemetery in Manchester, NH. In lieu of flowers, donations may be made in Maureen’s memory to the American Cancer Society at P.O. Box 22478 Oklahoma City, OK 73123.